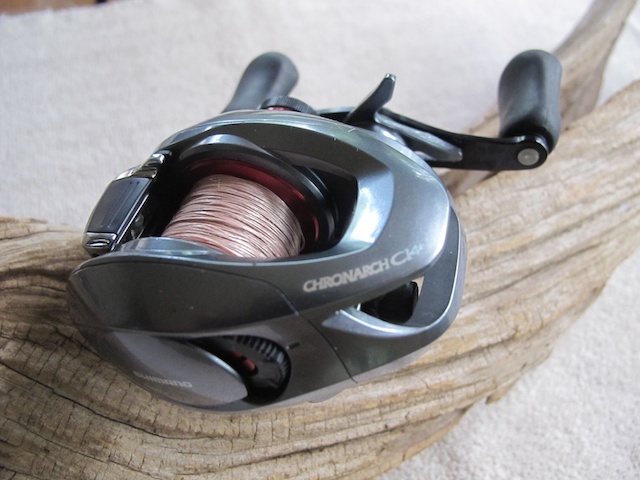 As a big fan of the Shimano CI4 spinning reels, I was anxious to try the Chronarch CI4+ baitcasting version, a best-of-show winner at last year’s ICAST tackle exhibit. The new model certainly hasn’t disappointed during a rigorous and lengthy testing stint. The corrosion-resistant frame is ideal for the tough saltwater conditions I normally encounter in my kayak and the only maintenance required has been a fresh water rinse after each outing. I was able to load more than 150 yards of 10-pound PowerPro Super 8 Slick braided line on to the Magnumlite aluminum spool. Casting is effortless thanks to the reel’s minimal heft (6.5 ounces) and SVS Infinity braking system. Like all baitcasters, this one needs to be pre-set for the weight of the lure being used, but Shimano has made precise tweaking even easier with an exposed adjustment dial on the side plate. The drag is as smooth as granite, and with 11 pounds of max force, I’ve been able to whip powerful adversaries, including over-slot redfish. The Septon PV grips are easy to grasp in the heat of battle, even with wet hands. 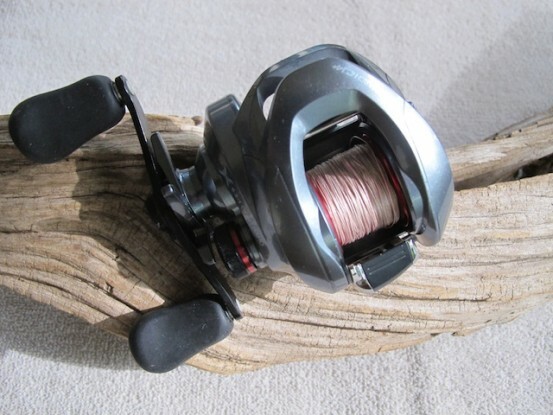 Built using the proven X-Ship design, precision gearing, eight ball bearings and Dartanium cross carbon drag washers, this reel may be on a carbon diet. But it’s definitely a heavy-weight contender ready to deliver that next knock-out punch.